Thomas joined Begbies Traynor in 2005 and has significant experience in the advisory and restructuring sector. He has acted in borrower and national mainstream Bank engagements, providing turnaround and strategic advice in a vast amount of both solvent and insolvent capacities. 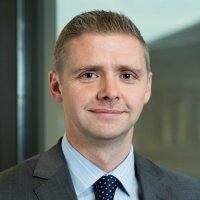 He has undertaken secondments in the UK for the Clydesdale Bank and National Australia Bank UK CRE, recovering over £200m in their property workout portfolios, with specific advice provided on risk management , dispute resolution, restructuring and debt advisory in Scotland and England.